There are eight returning State Qualifiers returning in the Class 5 Boys 800m with six returning medalists, including the entire top five from 2018. Defending State Champion Martin Strong will look to repeat after a stellar sophomore campaign in which he won 7 of 8 races, and he ran rub 1:58 five times. His 1:53 PR is the fastest returning time in Class 5 by 2 seconds, so he looks to be in good shape to earn another title. He'll have a strong field behind him though with Jack Warner (2nd - 1:55), Lazarus Williams (3rd - 1:55), Christian Blake Procell (4th - 1:55), and Micah Bruggeman (5th - 1:56) all returning as well. 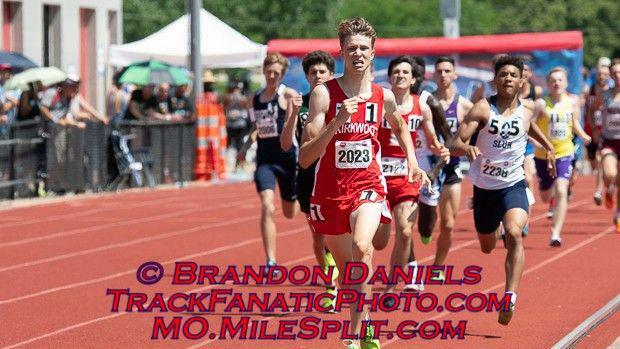 Below you can find my subjective rankings and honorable mentions in the Class 5 Boys 800m.